23 Nov-3 Jan. Each year there are around 60 Christmas markets around the squares and streets of central Berlin, with something for people of all ages. 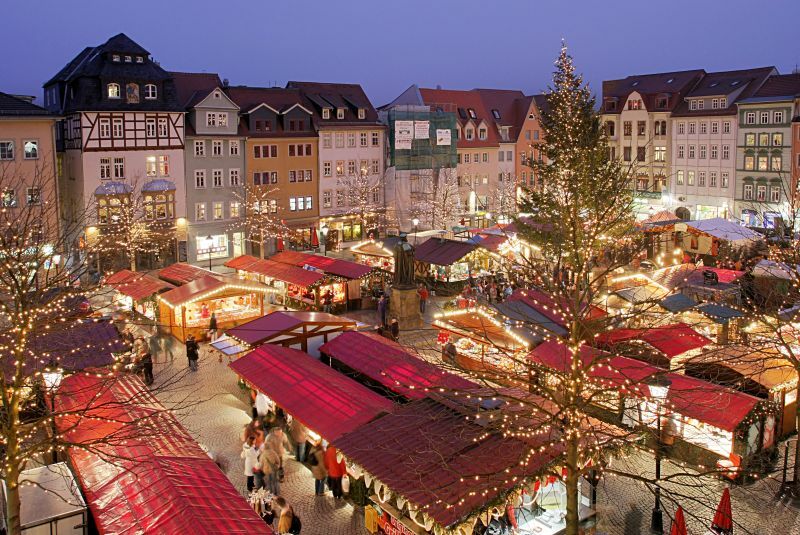 Breitscheidplatz market (23 Nov-3 Jan) takes place in the area around the Kaiser Wilhelm Memorial Church in the western district of downtown Berlin, close to the main shopping street, the Kurfürstendamm. Traditional hand-crafted toys and jewellery can be bought at the Opernpalais markets (25 Nov-28 Dec) near the opera house along the Unter den Linden boulevard. The market in Alexanderplatz (23 Nov-27 Dec) with its merry-go-rounds, caters in particular for young children, while the Gendarmenmarkt (23 Nov-31 Dec) exhibits the work of painters, sculptors and carpenters. Most of the markets serve hot Glühwein wine and roasted almonds.